« Why is CARINA (just) a novella? CARINA launched as an ebook in November amid lovely comments, tweets and posts and reviews are starting to accumulate (Exciting!). It’s now available in print (Even more exciting!). Roma Nova itself is based on the foundation of small fiefdoms and city states established at the time the Roman Empire was fragmenting. 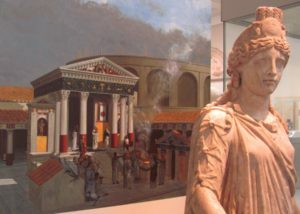 My heroines’ ancestors, who worshipped the traditional Roman deities, left Rome in AD 395 to protect themselves from Christian persecution. You can read the full story here. Their presence as a tough little country robustly dealing with all-comers changed the face of Europe and later the rest of the world. The effect can be compared to ripples after a stone is thrown in a pond or the famous ‘butterfly of doom’. Roma Nova lies ‘somewhere in central Europe’ but has borders with the Italian Confederation (Confederatio Italiano) and New Austria (Neuösterreich). As members of the European Economic Area based in Berlin, Roma Nova enjoys friendly relations with Bavaria and Prussia in the German Federation and ‘most favoured nation’ terms with the United Kingdom to the north. 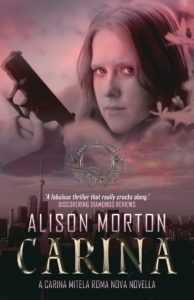 In the Roma Novan timeline, the last British Governor-General didn’t leave North America until 1867 and in Carina’s time, Britons still own considerable stretches of land and business interests. The British and Dutch co-ruled Manhattan and the surrounding area, from the 1600s, with Britain the junior partner. 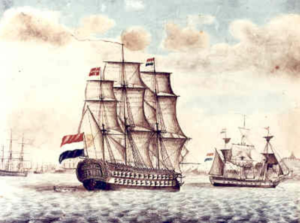 But in 1813, due to economic and political problems at home, the last Dutch Governor-General sailed out of New York in 1813, leaving the British to rule for another fifty years. The other colonies on the American continent? The rebellion in the 1770s was a ramshackle affair and the leaders squabbled too much to form a united movement. Wisely, the British granted parliamentary representation, full trading and civic rights equal to those in the mother country. The colonies known as the Eastern United States (EUS) were permitted to expand west to the Mississippi River and north to the Great Lakes with Georgetown (later Washington) as their capital. The territories beyond the original colonies were supposed to be called the Western United States, but the name faded away as the Easterners become dominant. 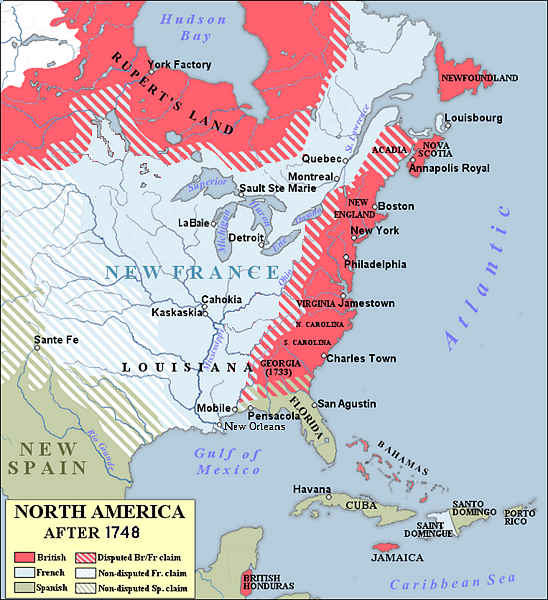 North America 1748 in our timeline, but it shows the French territory and the English colonies clearly. 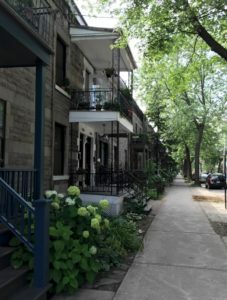 After many tussles with its identity and protests and negotiation with the home country, Quebec finally became the fully separate République Québecoise shortly before the time of INCEPTIO. However, like many French-speaking areas culturally aligned to its ‘mother country’ it does retain trading and cultural ties to Imperial France. English-speaking Canada is more or less where it is in our timeline. Phew! There is no Verhulst Street alongside Central Park in our timeline. In CARINA, nearly half of the action takes place in North America. Our heroine lands in Montreal in the République Québecoise. I drew on my own visit to Quebec and Montreal to flesh out the location detail. It’s not entirely inconceivable that this French-speaking part of Canada could have become autonomous by Carina’s time, although it was still a French imperial territory in the 1980s when Aurelia led the action in INSURRECTIO. Only about 10% of research should appear in any finished novel; a historical note and links to an author’s website can provide more. Like the Ruritania created by Anthony Hope, or the 1960s Germania of Robert Harris’s Fatherland, I don’t go into too much detail, just enough to set the tone and paint a sketch for readers to fill in. CARINA is available on Amazon Kobo iBooks B&N NOOK and in print through your local independent bookshop or favourite online site. This sounds very fascinating. And Carina had the right amount of excitement and twists. Plus, it was fun to see Carina and Conrad again. I loved inventing Carina’s world! I’ll let you into a secret… A very early manuscript assessor said she liked the Roma Nova world building, but asked how had Roma Nova’s existence affected the rest of the world. That made me think, so I started imagining and ended up with having quite a bit of fun. More seriously, when plunging into an alternative timeline, you have to consider possibilities that are historically logical. But, of course, it’s fiction. Ah, Carina and Conrad. I’m not entirely sure I’ve finished with them.